Top, New Look. 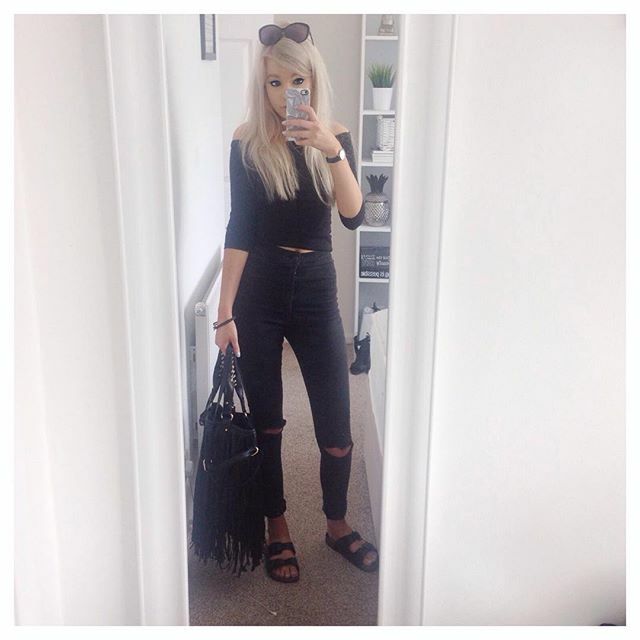 Jeans & Sandals, Topshop. Bag, La Moda. Jacket & Shoes, Topshop. 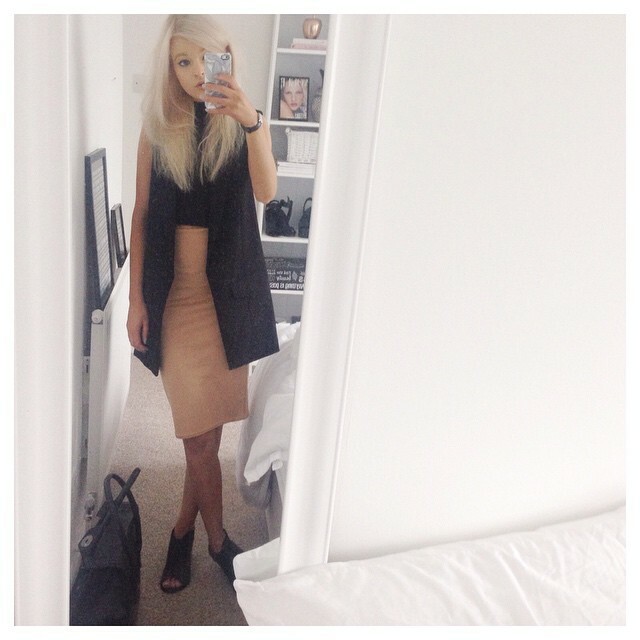 Skirt & Top, New Look. Jacket, Topshop. Top, Shoes & Jeans, New Look. Bag, Primark. Here are some outfits I have been wearing lately. 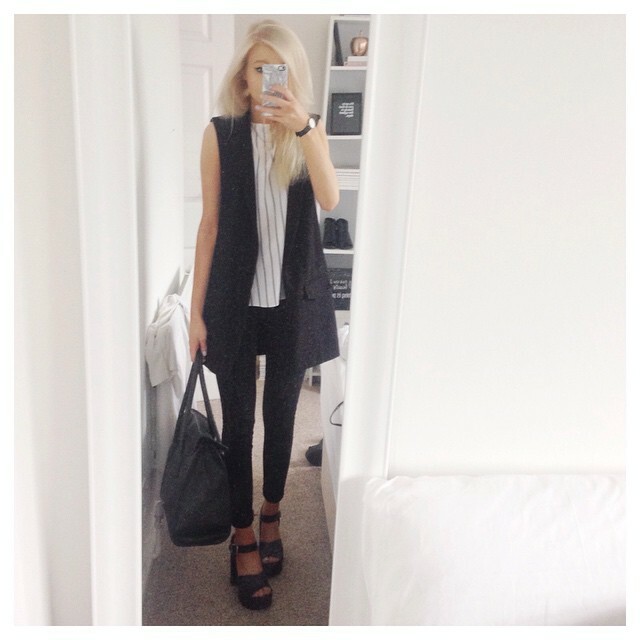 My two faves are my casual all black look and my minimal sleeveless jacket and stripe top look with some killer heels. I am a pro at driving in heels now - what are flats? Trainers and sandals are my go to shoes for the weekend, heels are my go to shoes for work in the week. My current clothing loves include - black fringing, ripped jeans (yes still) and sleeveless jackets. Which outfit do you prefer? Really love these simple but classic outfits!